The Sea of Thieves is filled with many dangers. 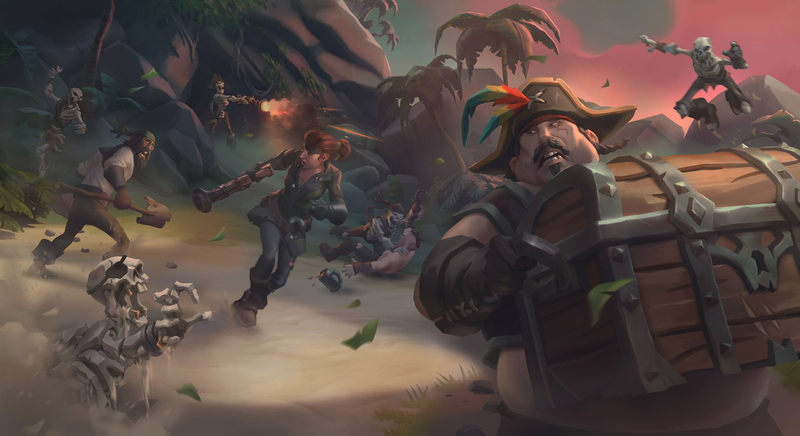 From snakes that can damage you with poisonous bites to the mythical Kraken that lies in wait in the ocean depths, any number of beasts and monsters stand between you and a chest full of gold on your quest to be a pirate legend. A wise pirate is always prepared for any situation, so be sure to get ready for your next quest by stocking up on items and reading up on the information below. That way, when an enemy strikes, you know how to strike back. Skeletons are the basic enemies in the game. They come in different varieties but the one you are likely to encounter the most is the white version. These skeletons can be killed by any means and will die in a few hits. They can regain health, however, by eating bananas, so be sure to kill them before they can recover or take advantage of their snack time to deal one last fatal blow. Golden skeletons are a slower-moving, harder-to-kill Skeleton with gold plated armor. The only way to kill these skeletons is to throw a bucket of water over them to cause them to rust. You can then kill them with ease. Cannonballs can kill them in one hit without having to throw a bucket of water over them, however. Shadow Skeletons go by a few different names depending on who you meet. Ghosts, Wights, and Night Skeletons are all common names given to them because they grow stronger in the dark. In darkness, they cannot be hurt by any weapon, even cannonballs. The method to killing this skeletons is to either wait until morning or have an ally shine a lantern on them to make them visible and therefore vulnerable to your attacks. These Elite enemies can be found during Bounty Quests or Fortress Raids. They have higher health then regular Skeleton enemies and are distinguished by their captain-like hats. Skeleton Captains can be any one of the three different versions of skeletons, so be sure to stock up with a bucket of water, or a light source, just in case they turn out to be Gold or Shadow Skeleton Captains. These enemies are easier to kill and drop rare Bounty Skulls or a Vault Key, that can open treasure chest doors at a Fortress Raid. 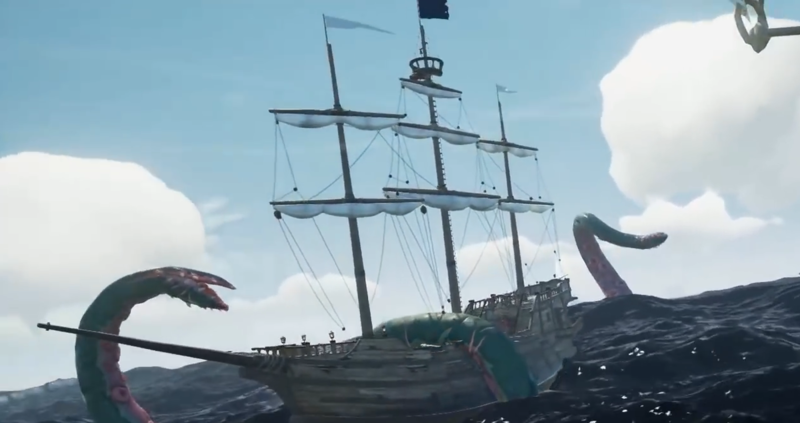 The Kraken is the longest fight you will ever face in the world of Sea of Thieves. The location of the beast at any given time is a mystery and it usually attacks ships at random. It spawns a lot of tentacles in a large area that will need to be shot down with cannons and ranged weapons in order to make it go away. For an extensive guide on how to find and kill the Kraken, check out our handy guide. The Snake will only attack you if you get close to it. It's bite is deadly and can cause you to lose a fraction of your health over time. Try to kill it from afar if you can. 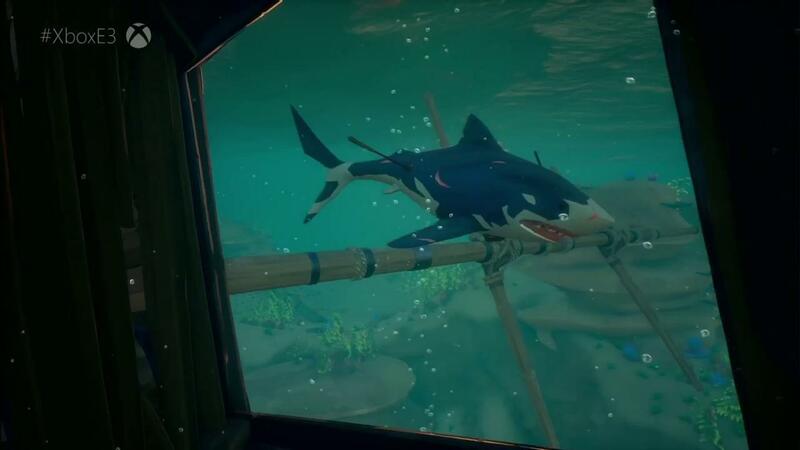 Sharks will appear at random while in the ocean. They can only attack you in water so to make sure that you can climb back onto your boat or reach the shore before one can take a bite out of you. If the latter isn't an option, however, just shoot at them with a ranged weapon or swing your sword at it when it gets close— it'll die after a few good hits.